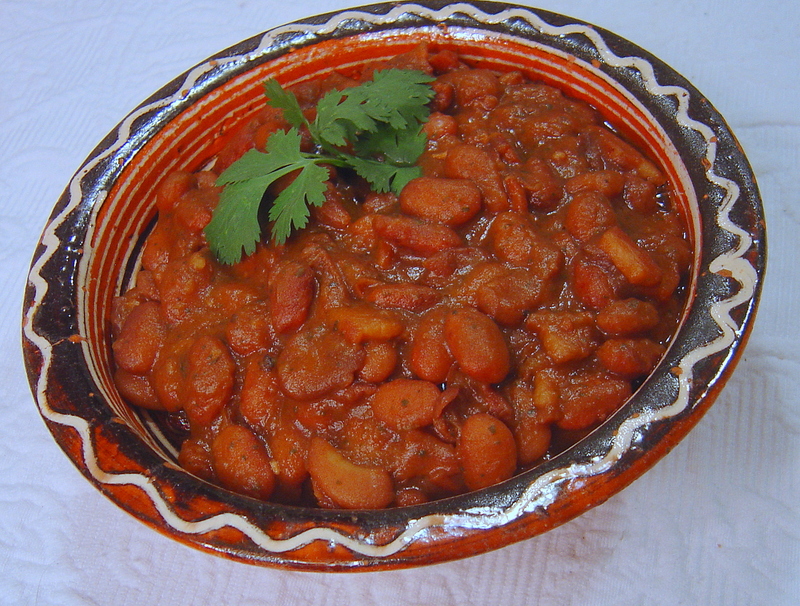 Borrachos are literally “Drunken Beans” which means they are cooked in beer. You may have seen many pretenders, pouring in a little beer into the cooking liquid, but let’s get real. Borrachos are cooked in beer. Although I do cook my borrachos in beer, that doesn’t mean it has to be the only flavor. So I add other things to liven them up. Just not water. Water is not a flavor. 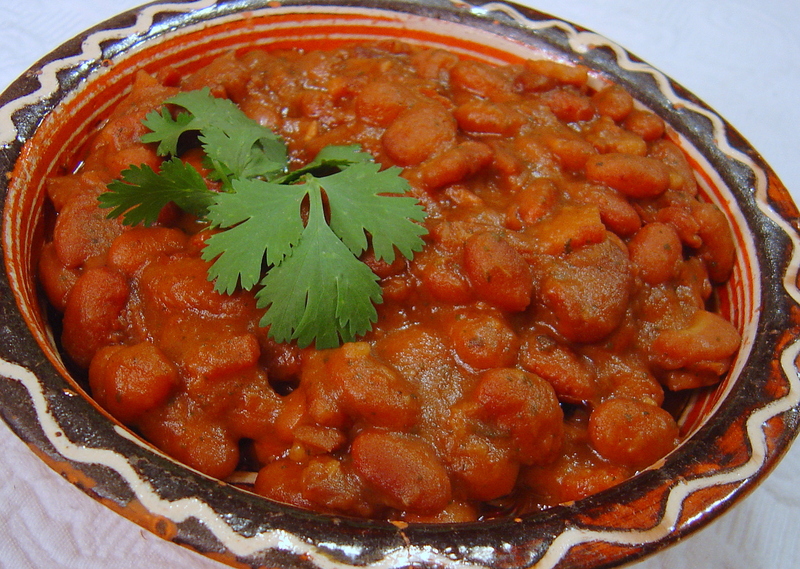 You make this with dried beans, soaked overnight. I use just a cupful of beans in this recipe, but I am just making it as a side dish for 4 servings. I don’t really want tons of beans leftover, but if you have a large amount of people to entertain, just scale the recipe accordingly. Oh. And use fresh beans. If you don’t recall exactly when you bought your beans? They will never get tender. In case you wondered why the beans you simmered for two weeks that time never seemed to get done. That was why. And if you did buy the dried beans fresh and that happened, well your grocer just ripped you off by selling you old beans. Shop somewhere else! Place soaked beans in a saucepan with the beer. baking soda, chicken base, onion, epazote, garlic, and partially cooked bacon. Stir to mix, bring to a boil, and skim off any foam. Then reduce heat, cover and simmer for about 90 minutes (give or take), stirring occasionally and making sure it doesn’t cook dry. Beans should be tender with a thick sauce when it’s done.